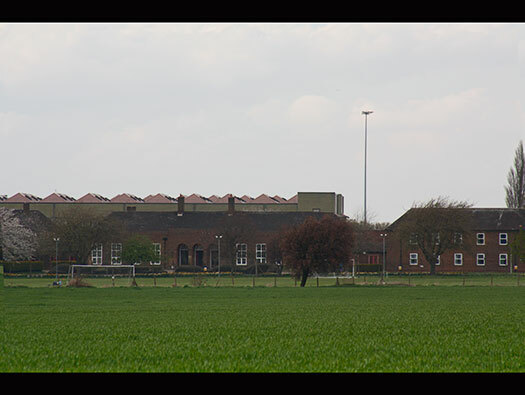 RAF Church Fenton is south of York and east of Selby. 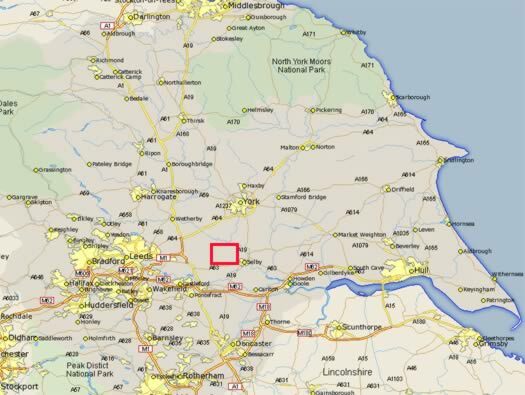 From Tadcaster take the A162 south and turn left at Saxton. 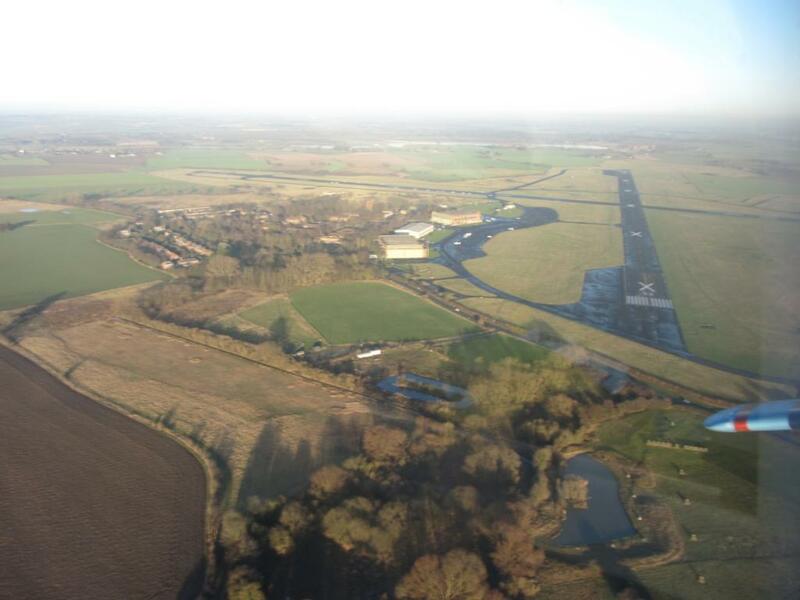 Drive over the railway and through the village and the aerodrome will be on your left. A very nice photo with thanks to Chris Wilson & John Kenning. Also AIX. 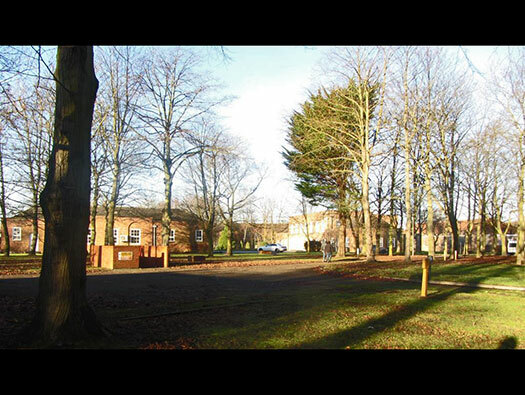 History: RAF Church Fenton opened in 1937 as a brand new RAF fighter station with 'Standard Function', airman's quarters, Sergeants and Officers mess's, a large main store, workshops, hangars, fuel for about a weeks use, parachute store, etc. All in nice red hand made brick and designed to a Georgian theme. 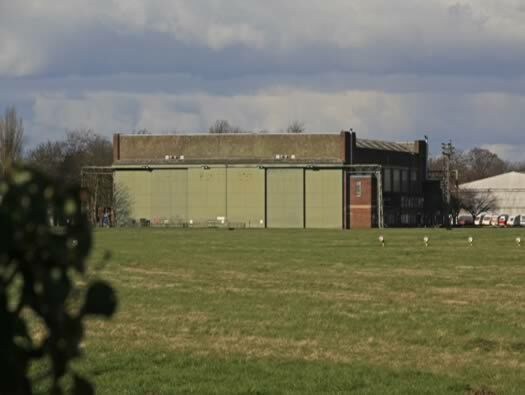 2 - 'C' type hangars and the space for a third. 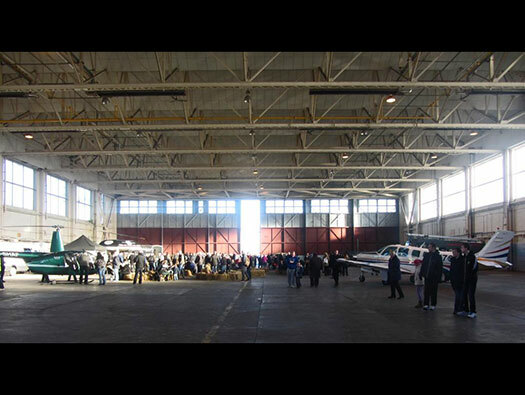 1 - T2 hangar was built in the 1950's. 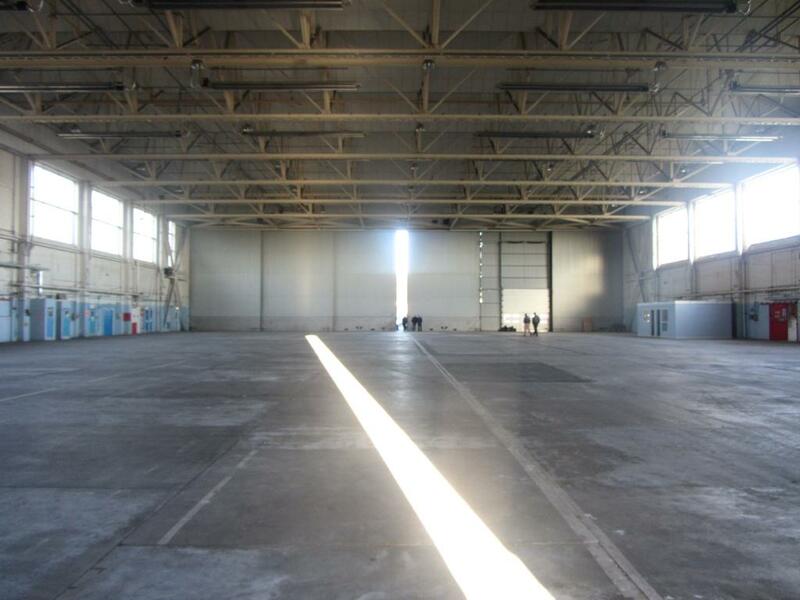 1 - Bellman hangar wartime (now removed). 10 - Extra Over Blister hangars wartime (now removed). 1 x Watch Office Fort Type 1959/34 Pre-war (demolished). 1 x Watch Office for Night Fighter Stations 12096/41 & CFN 45/4. Removed are the Operations block. 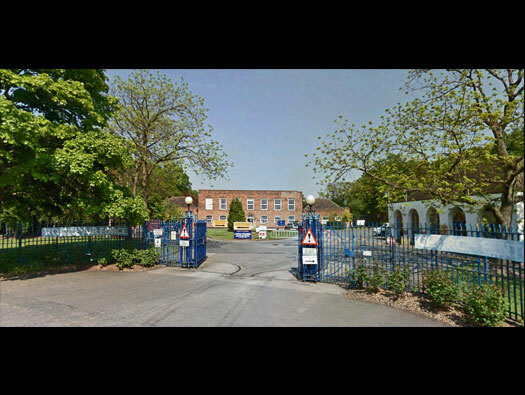 Officers mess, Armoury, Main workshop, Gymnasium, 25yd range, Dome trainer and many more ancillary buildings.. The RAF Church Fenton crest presented in 1953. "With Speed to the Mark". Watch Office for Night Fighter Stations with VCR. Removed Bellman marked in blue. Standby set house in Permanent Brick [PB] 974/35. 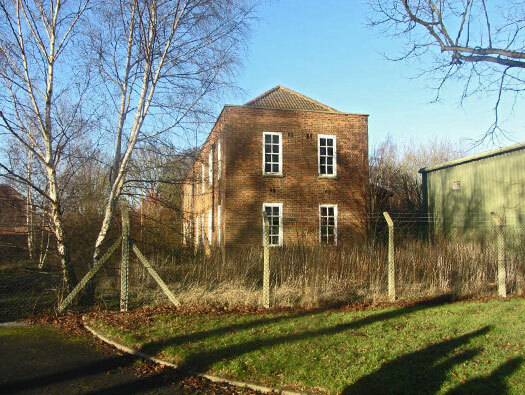 The first building I found is this pre war stand-by-set-house, if the mains electricity is cut for any reason, the stand-by-set engine/engines cut in and send power to certain buildings in order of importance. Note blast walls around the building. Standby set house [PB] 974/35. 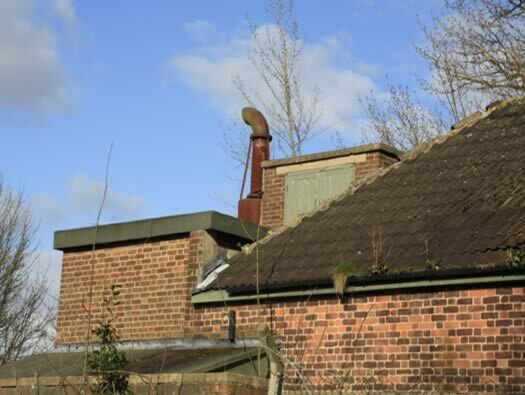 The exhaust running up the side of the house and the wooden doors are is for the water tank to cool the engine/s. 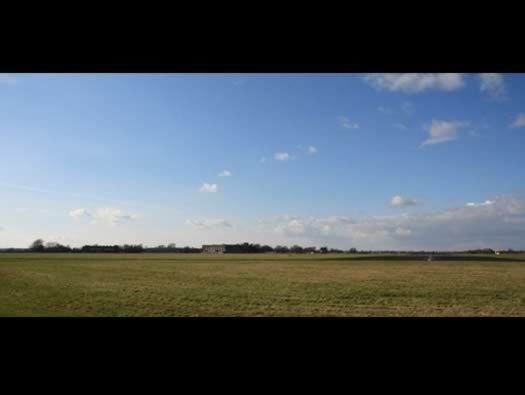 Site of Standby set house..
History: part of the RAF's pre war expansion scheme, Church Fenton was opened in 1937 with other 'Standard Function' stations curving south with Waddington, Marham, Feltwell, Stradishall, Cranfield and Harwell. 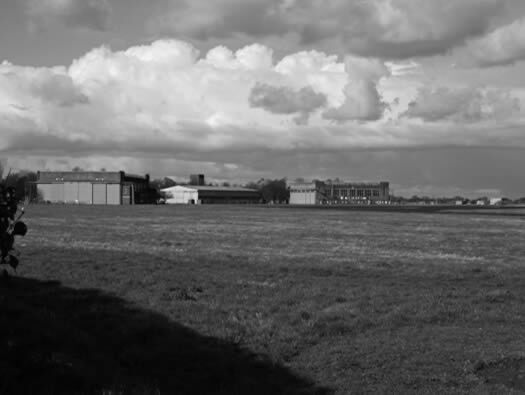 Church Fenton had a grass airfield with two hangars of 'C' type and a watch office (Fort Type), a third 'C' hangar was due to be built but a T2 was used in its place (post war). 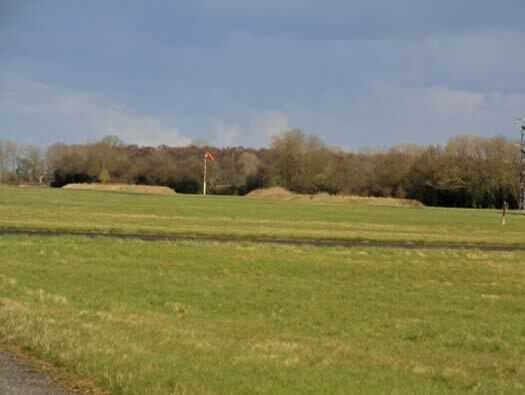 The aerodrome was laid out as a fighter station. 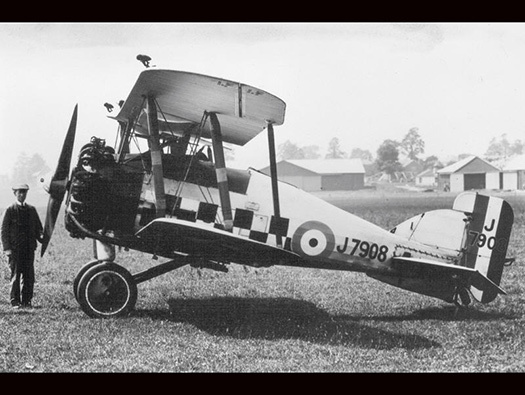 No.72 Sqn was the first to arrive with their latest fighters Gloster Gladiators onto a rather muddy and unfinished condition. Main Gate 2010 with the Guard room and Station HQ. The Station head quarters [PB] 3051/34 . On the right is the Guard house and fire party [PB] 3136/34. 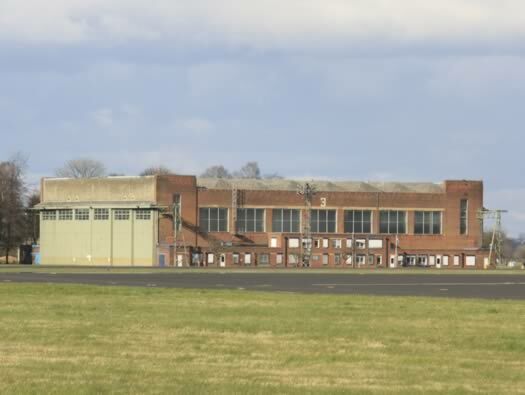 History : the aerodrome was built as a fighter station to cover the Yorkshire industrial region but was not quite finished when the first squadron arrived. 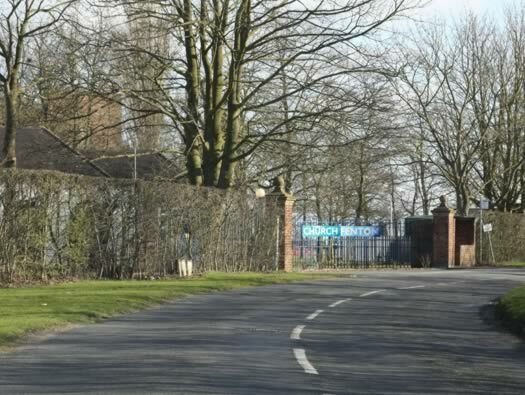 By 1940 it became the home to No71 (Eagle) Sqn, an all American RAF Squadron. History: before the US entered the war, there were a large number of American volunteers offering their services. They would serve in the Battle of Britain. Later they were aloud to formed into "Eagle Squadrons", and No. 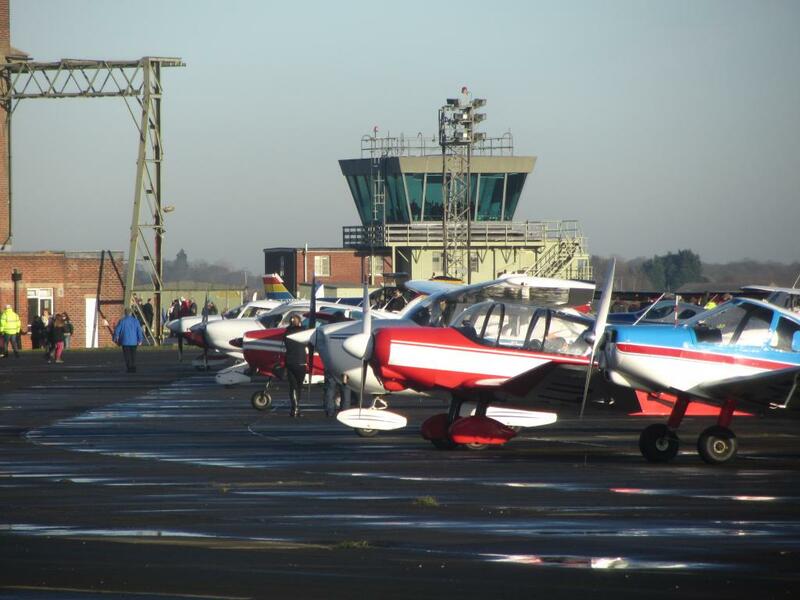 71 was the first to form at RAF Church Fenton on 19 September 1940 with Brewster Buffaloes and then Hawker Hurricanes. History: No.71Sqn was given 6 Brewster Buffaloes, they were very out of date by then and the American pilots were rather displeased. Luckily the Buffaloes broke very easily and were replaced quickly by Hurricanes. History: Hawker Hurricanes, XP was 71Sqn's code on their sides. Guard house and fire party [PB] 3136/34. 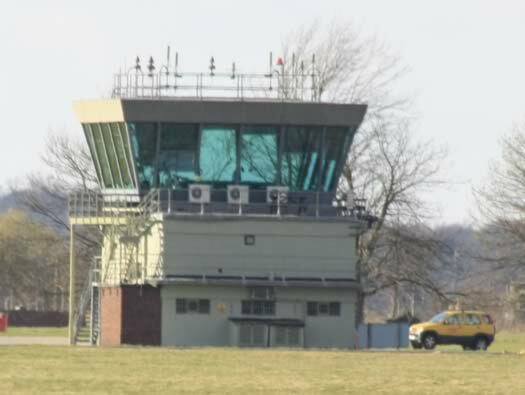 RAF Church Fenton closed in 2013 and a businessman is to launch commercial flying from a the former RAF base in North Yorkshire after buying it from the Ministry of Defence. 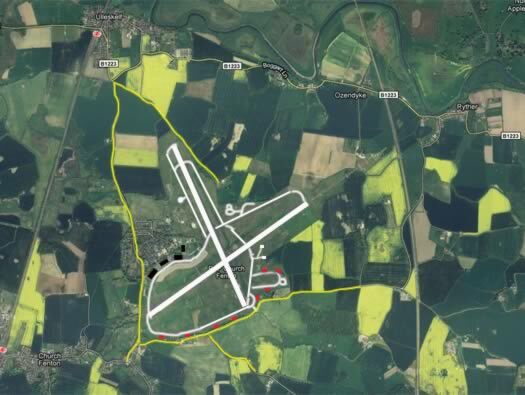 Chris Makin says his plans for RAF Church Fenton, which also include opening a flying training school, should create 100 jobs within the next five years. "The Yorkshire Press"
The 4th January was the date for its first 'Fly In' but due to bad weather it was postponed until the 5th when these pictures were taken by John Kenning and I thank him for the opportunity to use the pictures here as there is no way I could have made it there living in the south. RAF Church Fenton Fly In poster. Central heating station [PB] 383/35. Left ----Airmens barrack block for 92 [PB] 9965/38 H block type. Right - Airmens barrack block for 64 'B' design [PB] 2267/34 'half' H design. Two different types of barrack block, one is an H block and the other is 'half' H design. 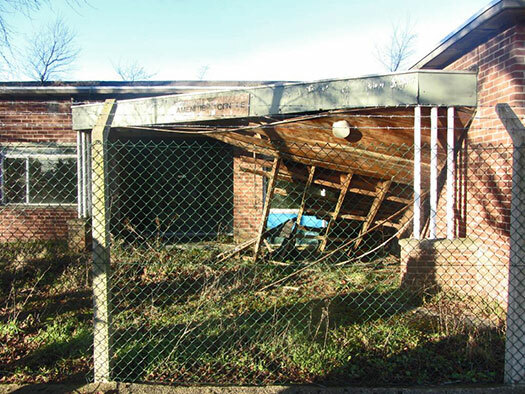 They may have a reinforced concrete roof and an air-raid shelter underneath the building. Airmens barrack block [PB] 2267/34. 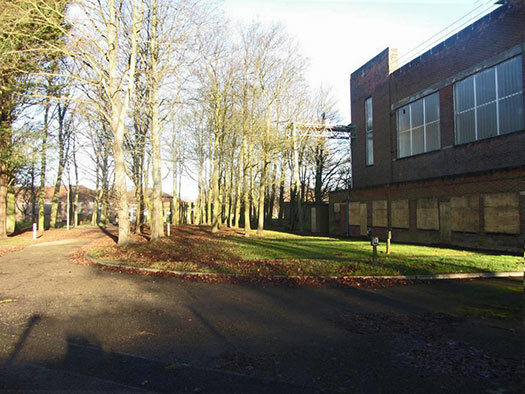 They may have a reinforced concrete roof and an air-raid shelter underneath the building and a 'half' H design. 'Not to be carried in aircraft', A guide to all regarding precautions to stop any items falling into the arms of the Enemy. Plan Airmens barrack block for 3 NCO's & 52 airmen [PB] 2267/34. It could also be used for single officer accommodation 'half' H design. The degradation that is happening. Central heating station [PB] 383/35.. The expansion period of the RAF there were many new building designs and layouts most designed in the Georgian style and Art Deco. One thing camps needed was water and lots of it and so a large water towers were built, the other new advance for the period was central heating. These plants produced hot water and distributed it around the permanent camp. Guard house and fire party. Station sick quarters and ambulance garage [PB] 1363,2752/34. The stations medical and dental building. This is an Air Ministry official photo of this type of SSQ. Five bay petrol tanker garage 2773/34 & 1225/39. Built as a two bay garage but later extended to five bay after 1939. Aircraft shed 'C' type shed with its large windows allowing in lots of light. Offices all the way along the side, this is the rear side of the hangar and the offices are low level and I believe they were for engineering and the other side is for squadron and flight offices. 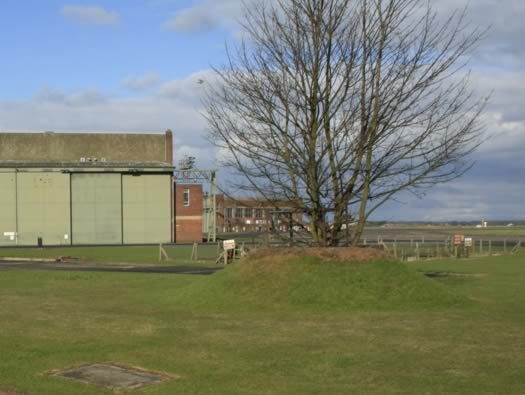 Offices running along the side of a C shed at RAF Little Rissington with in the centre a double door leading directly into the middle of the hangar. This would have had steel blast doors on to protect the entrance from bombing. 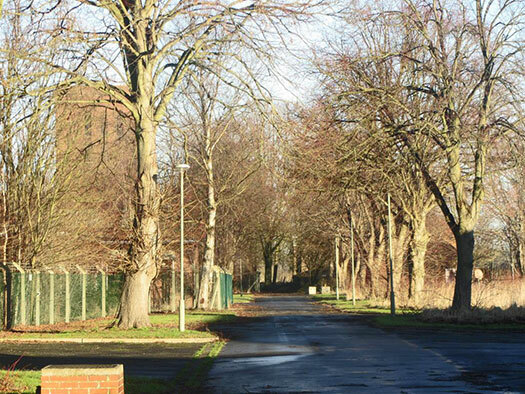 The RAF in the expansion period used a nursery to supply trees to plant around their aerodromes. These trees are now coming into their own. 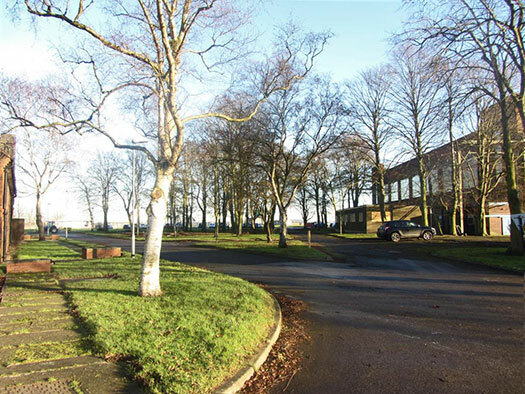 Lovely Copper Beach trees at RAF Little Rissington. 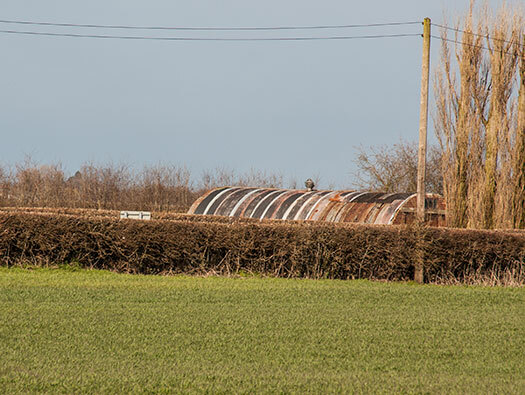 RAF Netheravons 'A' shed hidden by trees. 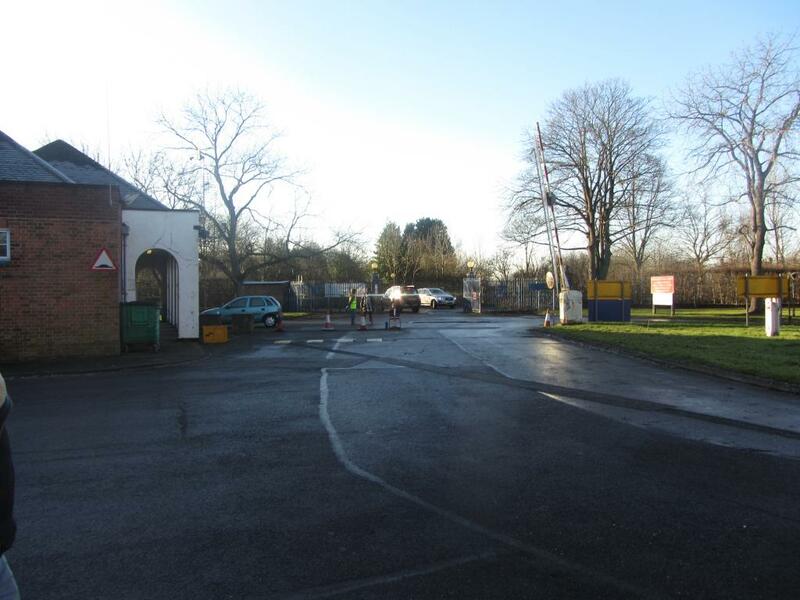 A two bay protected petrol tanker garage 2773/37. They have their original roller shutter doors and it was built in 1939. An Albion fueling an early Hurricane. Inside the aircraft shed 'C' type shed No.3. 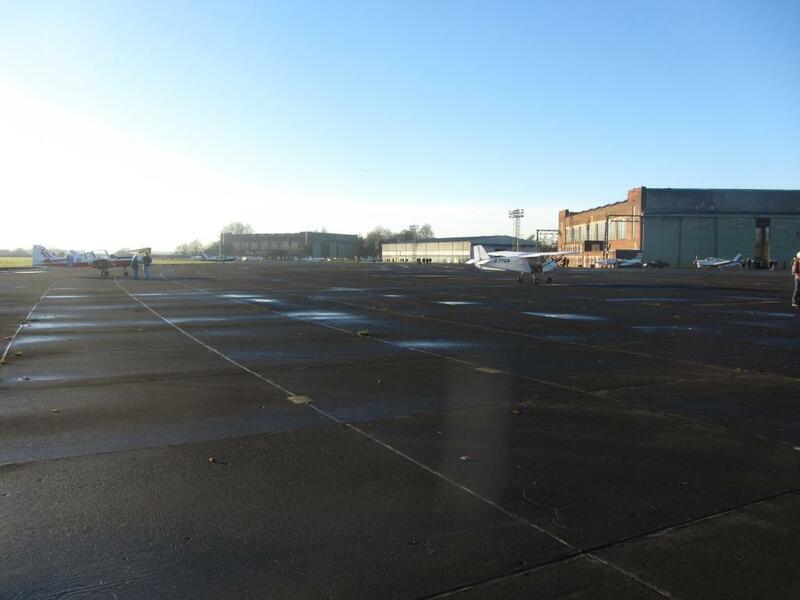 Now private aircraft, where biplanes to supersonic jet fighters have lived. Aircraft shed 'C' type shed No.1. Control tower 12096/41 & CFN 45/4. Built in 1948 and the Visual control room added in 1985. 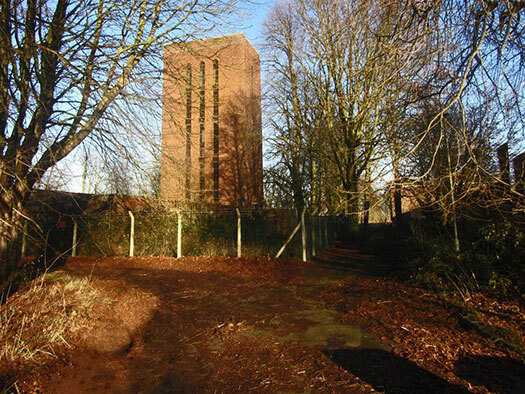 This tower was built here when the runways were extended out beyond the views of the old watch office. 12096/41 at RAF Charmy Down. Inside with all the RAF equipment now removed. 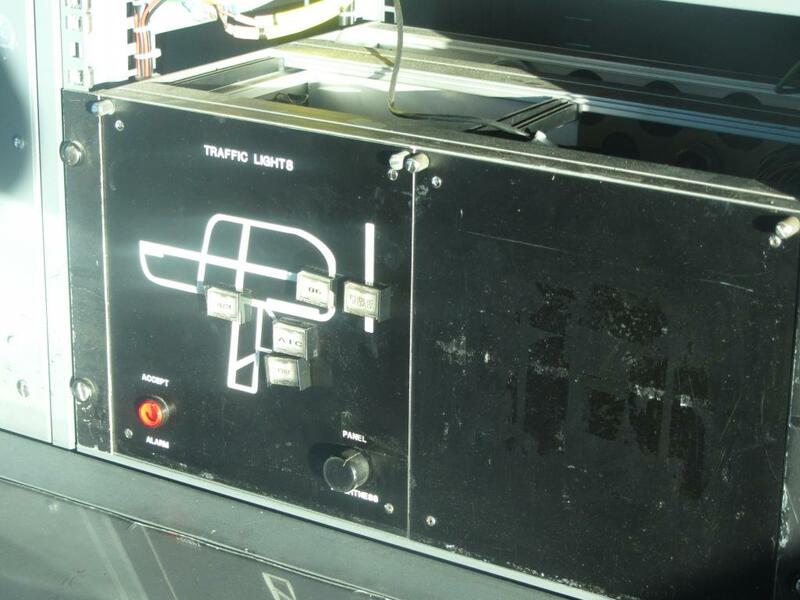 The main roads traffic light controls when aircraft were landing or taking off over the road. Traffic lights at the end of the runway. Concord taking off, I do hope somebody has turned the traffic lights to RED. I wonder if a Vulcan has used the runways? A Yorkshire University Air Squadron Grob Tutor. 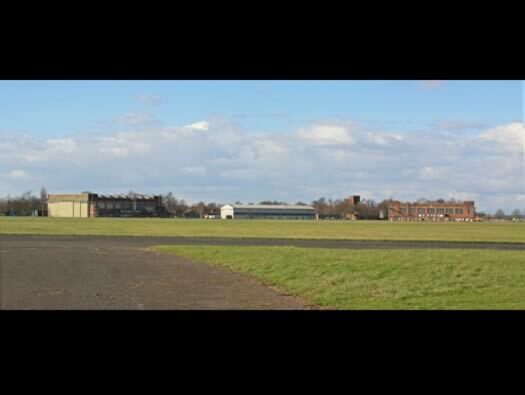 The oval roadway is the pre war bulk fuel store, there would be two usually, one either side of the hangar line. As Church Fenton was a fighter station, there was only one with enough fuel for a about a weeks fighting and then they would need re supply. Behind is another bulk fuel which was added due to the need for more fuel to keep jets flying to NATO standard. Scammel OY petrol delivery tanker. Thank you John for letting me use the internal photos of CF. 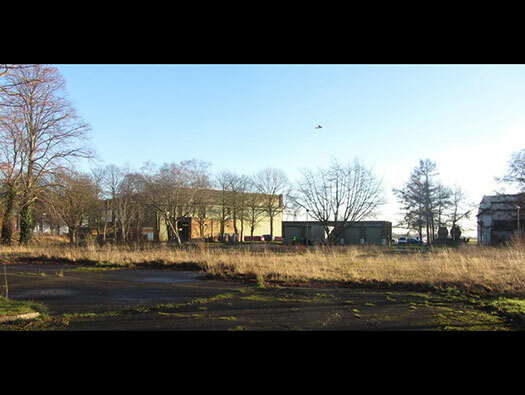 History: As a pre war expansion scheme airfields the hangars were placed in a semi circle, the camp was behind and the married quarters behind again. There was no attempt to disperse the buildings against bombing until the war started. 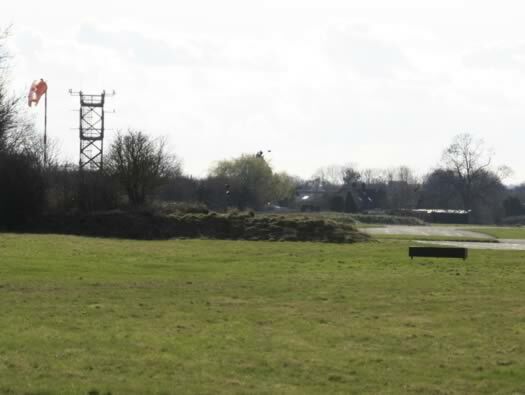 Then several 'E' type fighter pens were constructed around the perimeter track to protect the fighter planes. Blue the site of a Bellman hangar. Pre war 'E' type fighter pen. 'E' type pen at RAF Kenley under attack from the Luftwaffe. 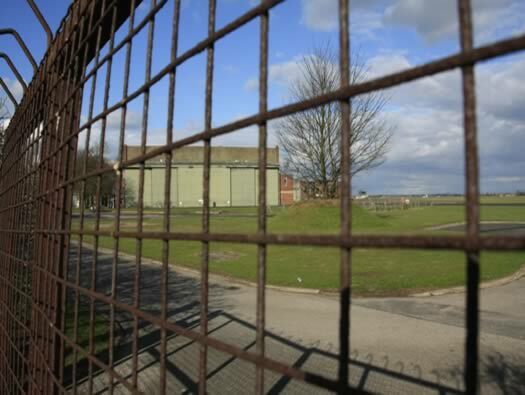 Two types of hangars remain, 2 x 'C' type brick sheds (hipped) 8bay bay, about 200ft x 150ft x 35ft. 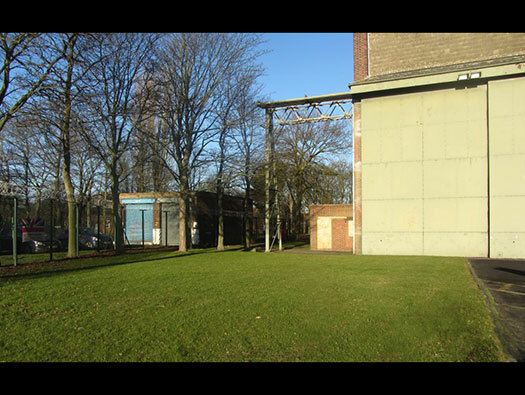 A T2 transportable iron frame with corrugated iron cladding 23bay 135ft x 239ft x 25ft. There was also a Bellman 14bay 175ft x 87ft x 25ft, Bellman's were usually used on fighter airfields as they were too low to take bombers. 'C' shed being constructed in 1937. Pre war hangars were named as sheds in RAF parlance. The RAF Record book states 2 x C type & 1 Bellman shed. The Bellman was pulled down some time ago and a T2 was added at some time. 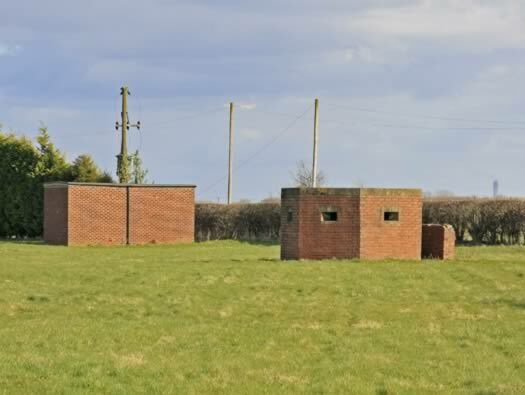 I have found these structures on many RAF airfields. 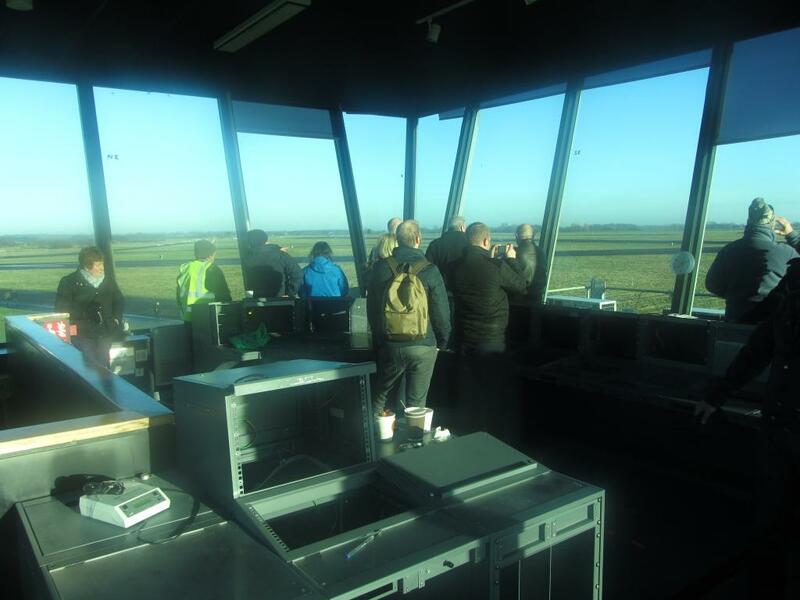 Control tower and signal square. 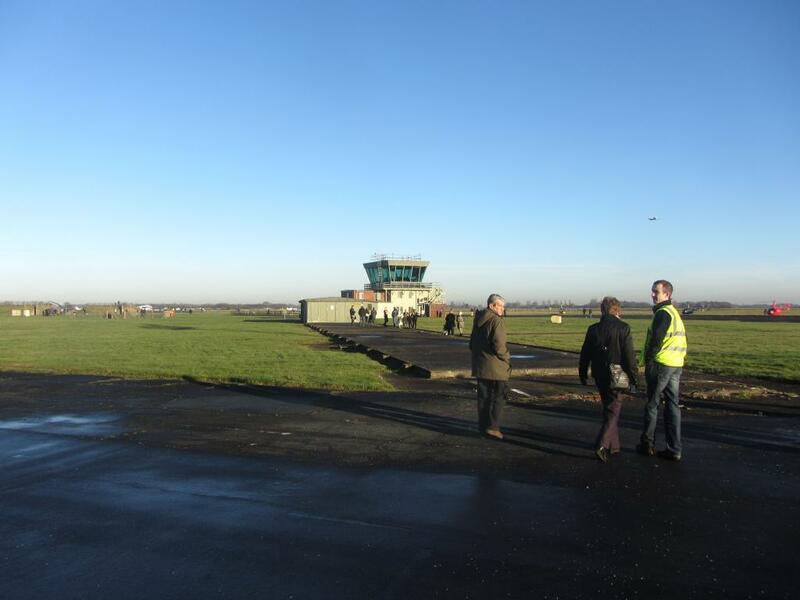 The control tower before the VCR was fitted..
Bottom End of the Airfield & Perimeter Track. 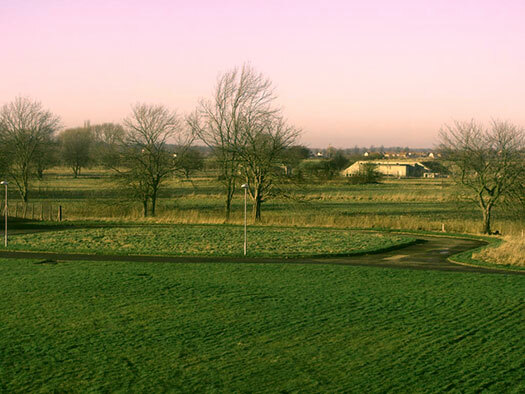 View towards the runways end. History: Squadrons came and went as they did in wartime with many nationalities passed through. Then Church Fenton was turned into 4 OTU (Operational Training Unit) changing to 54 OTU as a night fighter training unit with Blenhiems and Defiants. M&E Plinth & a Pillbox the last of 11. A later type M&E plinth probably using power from the electricity pole to transform power to run the landing lights. It looks like a Type24? with a blast wall at the entrance. How it may have looked in WW2. History: 54 OTU left for Charter Hall in 1942 and two night fighter squadrons moved in. 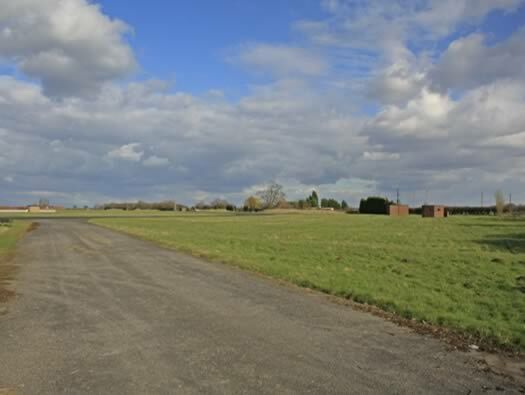 Several more squadrons again came and went and then the war ended and it was decided to retain the aerodrome for future use and two concrete and tarmac runways where laid. And how it looks camouflaged in the war. 'C' sheds were constructed in 1937. Pre war hangars were named as sheds in RAF parlance. C shed being constructed in 1937. 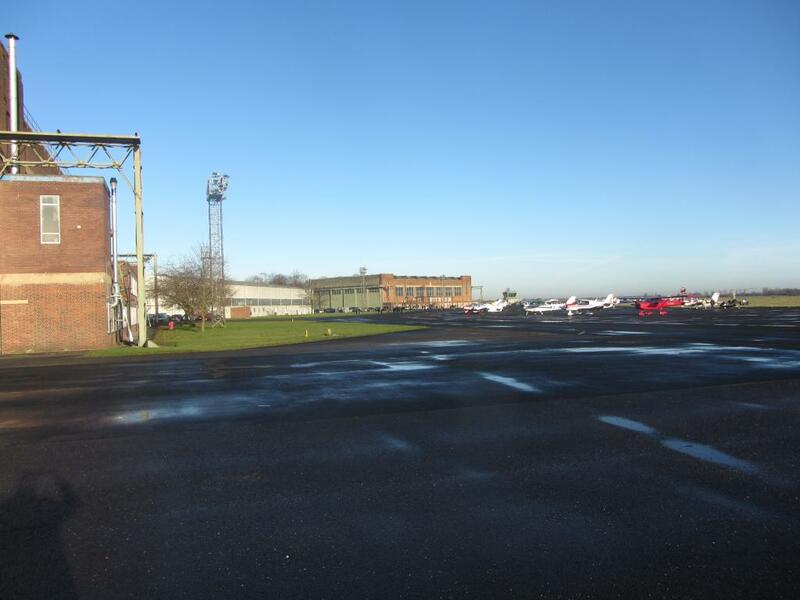 Pre war hangars were named as sheds in RAF parlance. One of RAF Upavon's C type's. 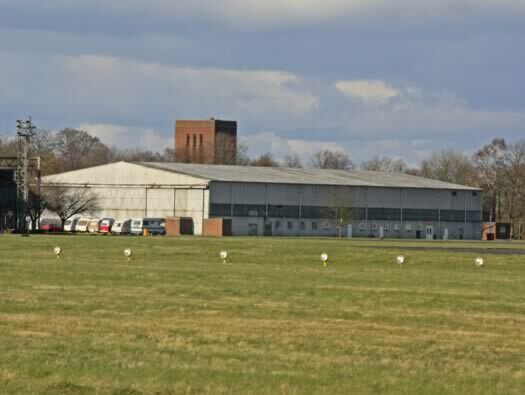 T2 a standard hangar for WW2 and could hold any type of RAF aircraft of the period and was much cheaper to build. There was another T2 behind the N3 'C' Shed but that was removed by the end of the war and this one was built in the 1950's. Behind the hangar is a the camps water supply tower, now count the bricks in it. This is the second 'C' hangar. Door layout a double thickness steel door and would have been filled with gravel which made it a semi armoured door. Although they were very heavy just the small door handle will open and close them. Watch Office for Night Fighter Stations. 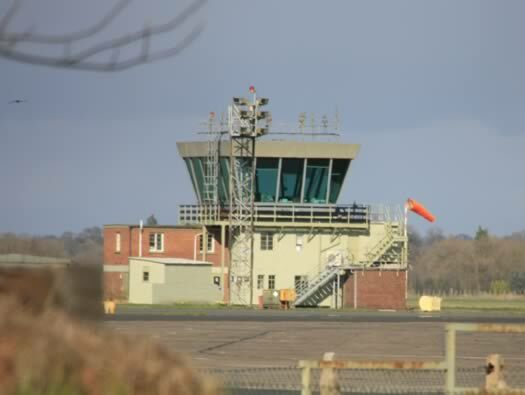 A WW2 type control tower two story and now upgraded with a new type VCR placed on the top. Watch Office for Night Fighter Stations at RAF Charmy Down.. 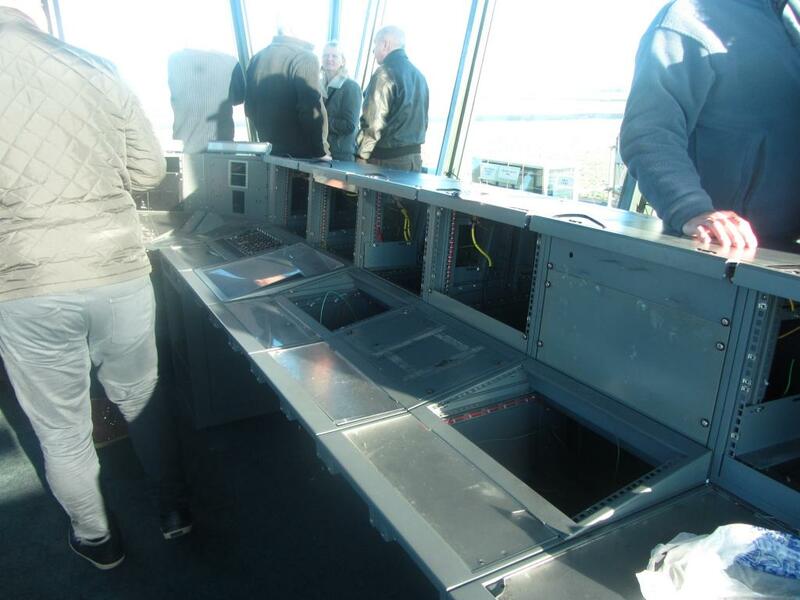 This is how it may have looked before it VCR (Visual Control Room) was placed on the top. Before the VCR was fitted about 1960? A better view of the VCR. Steel stairs to the roof. 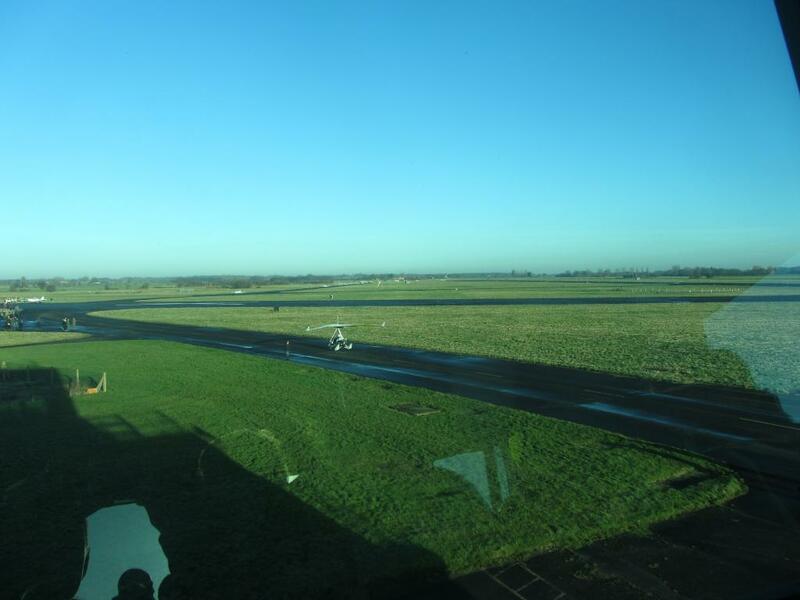 Control room view across an airfield. The same view through a VCR as you see much better. 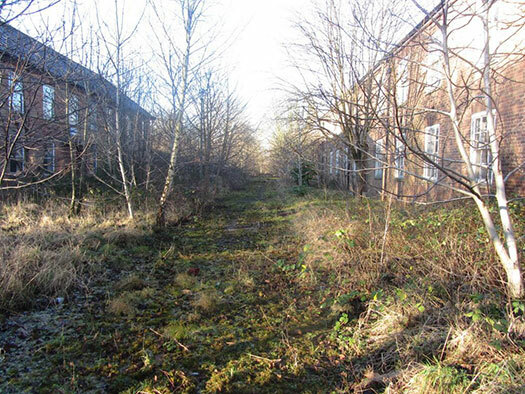 One of what may have been 12 'E' pens six for a 12 plane fighter squadron making this possibly a two squadron airfield. I have found 7 so far. 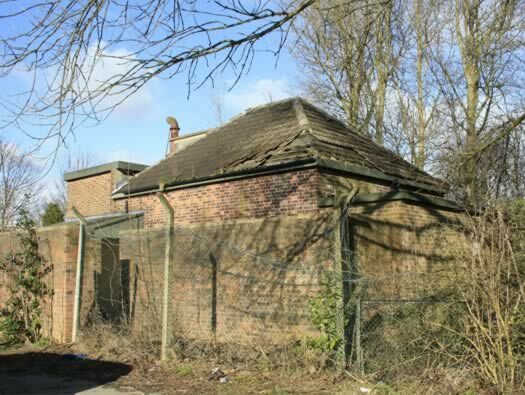 Fighter 'E' pen with room for two fighters and an air-raid shelter in the rear wall. 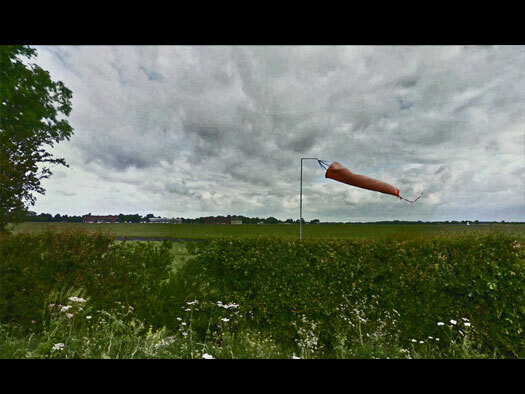 'E' Pen at RAF Kenley under attack from the Luftwaffe..
A second 'E' Pen and Windsock. Pilots did all the flying. Erks did all the repairing. Their leaders did all the leadering. 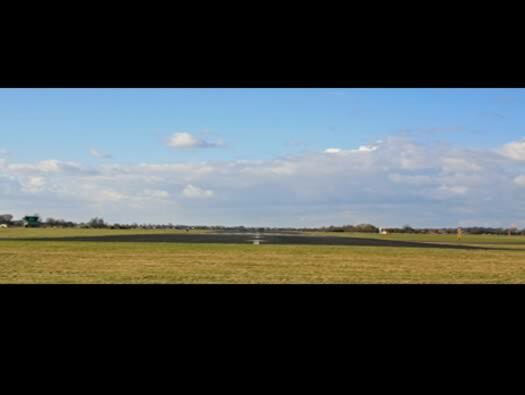 History: with the coming of hard runways it was one of the first airfields to have a squadron of Jets with 263Sqn and Meteors. Mosquito night fighters taking off. 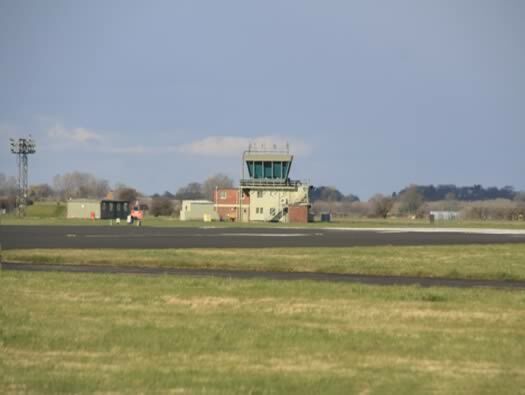 History: for the next 30years it reverted to training and now is the home one of the University training squadrons and a relief landing ground for Tucano's of 1FTS (Flying Training School). 2013 and its all in the balance, closure is on the list and the loss of a lovely 1930's relic. 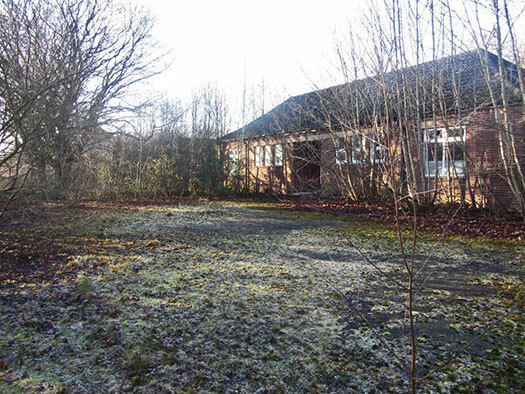 It has now been sold to a private owner. Mosquito cockpit with A1 radar fitted. On the south side of the airfield now in a garden. Wartime Nissen hut and cyclist. 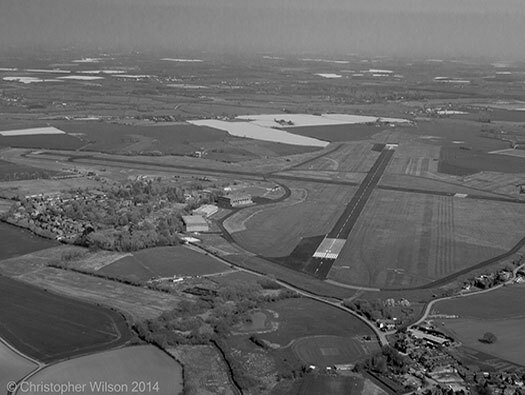 Ian Herbert's dedicated website to RAF Church Fenton. Expansion scheme camouflaged photo about 1942. RAF Dishforths Officers mess was very like the one here..
Officers' Mess and single officers sleeping quarters design B [PB] 2948/36 36 to 45 officers others were housed in extra 'B', 'Y' and 'X' hutting. X & Y hutting was 18ft x 70ft.